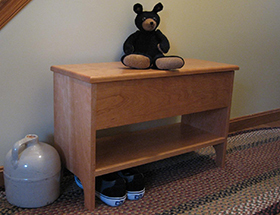 We just added new CONCEALED medicine cabinets, in 5 sizes and 4 depths. 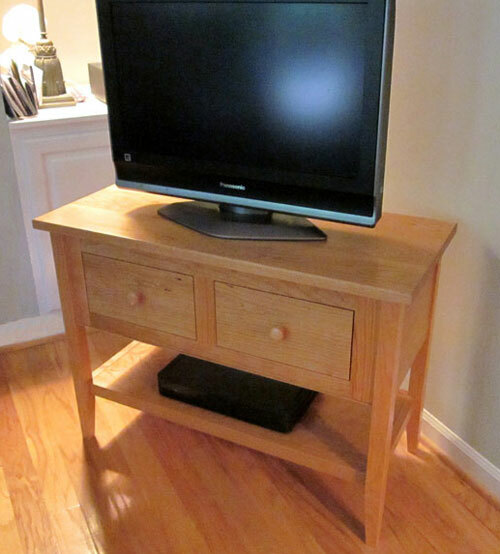 TVs don’t come in just 3 or 4 sizes so why should TV stands? With ours you get to pick the width, the depth, and even the height! You can also tell us how many drawers, if any, you want it to have. You even have your choice of hardware!! 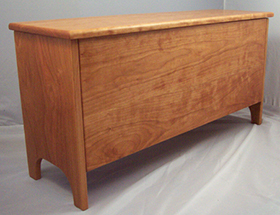 We just added this more formal style of medicine cabinet with a crown molding top to our line. The one on the left is recessed and made from cherry. The surface mounted one on the right is painted and made from poplar. 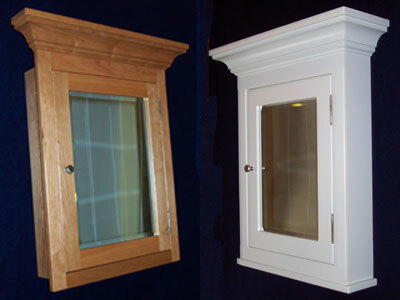 You can find them on our ShakerBathrooms web site here: http://shakerbathrooms.com/Recessed-Surface-Mounted-Medicine-Cabinets.html or on our our NHwoodworking web site here: http://nhwoodworking.com/Medicine_Cabinet.html. 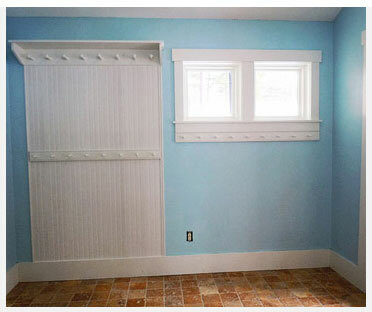 These come in various woods, depths and can also be ordered with a solid wood paneled door instead of the mirror. Check us out in the July issue of Martha Stewart Living on page 51. It’s an article about using our heavy duty peg rack to hang summer things outside to dry. 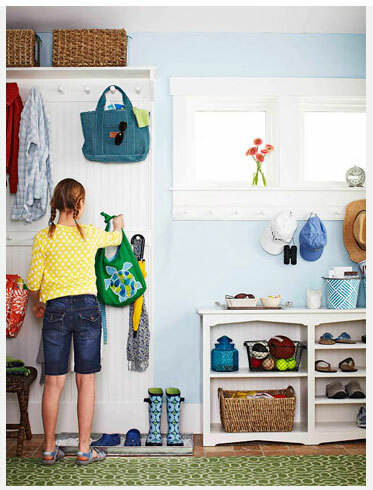 Better Homes and Gardens recently published this article about how easy it is to organize your mudroom with a peg rack or two and a heavy duty peg rack shelf.